The University has entered into partnerships with Apple and HP for providing desktop and laptop computers to the faculty and staff. Information Services has selected the following models for general use. What do you recommend for a student laptop? What do you recommend for a desktop computer? Is it better to have a Mac or PC? 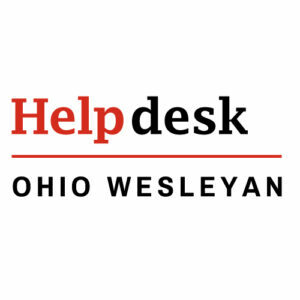 OWU Information Services fully supports both Macs and PCs, and the faculty have the choice to use either. You’ll find that a majority use PCs with certain departments, such as Fine Arts and Chemistry are almost exclusively Macs. Nearly all public-access (lab) machines run Windows 7 Professional. Your computer choice is your personal preference, and all kinds of computers–including Linux–are welcome on campus. Macs, PCs, and most Linux distributions are able to effectively utilize University computing resources.